Florian Barthe and his clay maquette "Myhlo, alien from Venus!" Barthe created this multi-limbed ET with sculpting clay, air-hardened and then painted. We think there's something super cool and unsettling about how he combined the familiar (human-like hands) with something completely alien (that face!!). Thanks again to all of you who submitted so many out-of-this-world creations! Please join us in congratulating Florian on winning the Grand Prize! 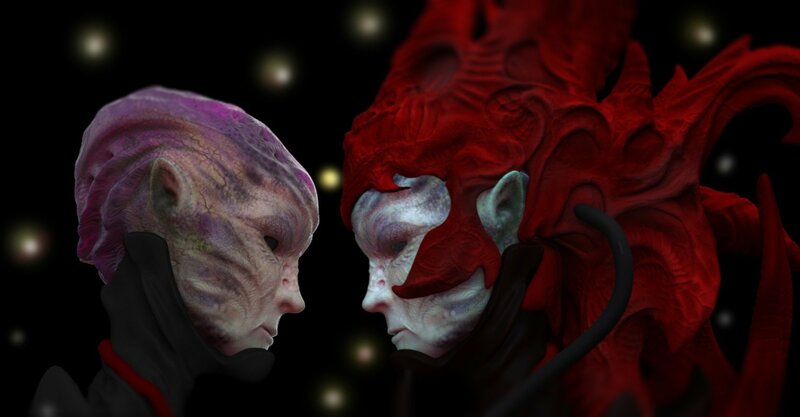 The galaxy's newest alien ambassador (and my first character sculpt)! Made with silicone. Lighting effect done in-camera. Here is my first submission for the alien contest, the alien wanderer. Enjoy! A display mask I made while studying at The Adelaide College of the Arts last year. The markings are based on a male Mandarin Fish. Latex reinforced with fiberglass sheet and airbrushed with Liquitex inks. A ship pilot...in his off time enjoys sculpting weird human faces, also enjoys salt & vinegar chips and illegally streaming movies. Here's a recent design I created that I thought would make for a good entry into the contest. Sculpey pre bake painted with watercolors. This guy was an experiment for myself in blending arthropod and vertebrate forms and generally just playing around with anatomy. The part that I found to be the most fun was flipping the hips backward and trying to make that work. Sculpted in Monster Clay it is approximately 16 inches long. This is Sir Wallace. He's a hyper-intelligent amphibious marsupial from the planet Zartron. He's made out of Super Sculpey and has marbles for eyes. Congratulations Barthe, truly stunning submission! And congrats to the runners up too, all beautiful pieces of art! Congrats Barthe! This design was absolutely fantastic! Lovely to watch all the creatures! Incredible work! 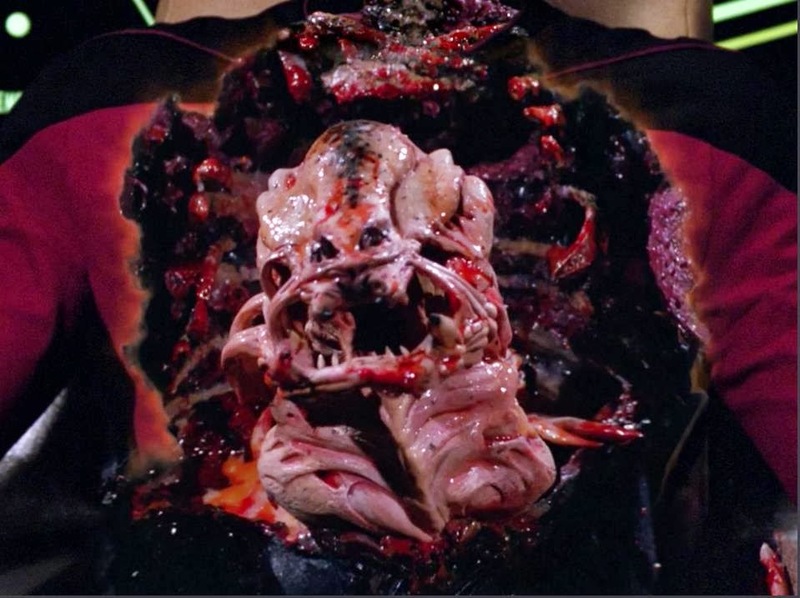 I really, really love to see a lot of new body bulging alien special makeup effects!! Like aliens that grows the man's body or neck and stuff. They should make many alien creature puppetry effects and many, many body effects to make new alien movies, and I'm talking about aliens that bulges, grows, inflates, and impregnates the human bodies! I want hundred-billions more neck bulging FX like this!!!!!!!! Amazing and inspiring designs! A big creativity boost!